The Sidewinder requires mounting in vertical orientation with camera head at top. Please specify which mount you require when ordering your Sidewinder. 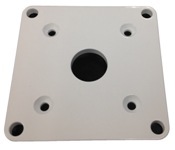 To view dimensions, click on the picture of the mount.